In the world of financial investment, timing is everything. In the past, successful decision-making was based on knowledge garnered from traditional media, trade publications, and personal connections. However, with the rise of social media, there is now a quicker, more efficient way of gathering data to influence investors’ judgements. When immediacy is key, and a couple of minutes’ delay can make hundreds of thousands of dollars difference, getting that killer tip before the rest of the market is crucial. And that’s precisely where social media comes in. It is now widely accepted that Twitter has become the most immediate and up-to-date source of news on the planet. Stories often break on the platform hours before major news corporations have mentioned them, which is something shrewd investors have started to monetize. 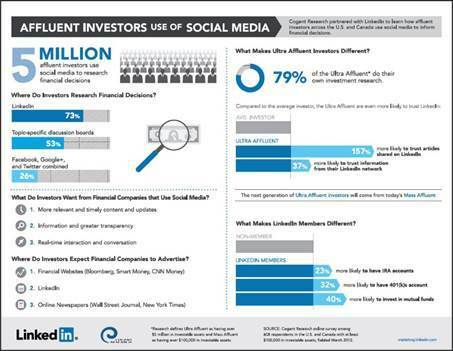 As a result, five million affluent investors (those with investible assets of over $100,000) in the US and Canada are now using social media to research financial decisions. 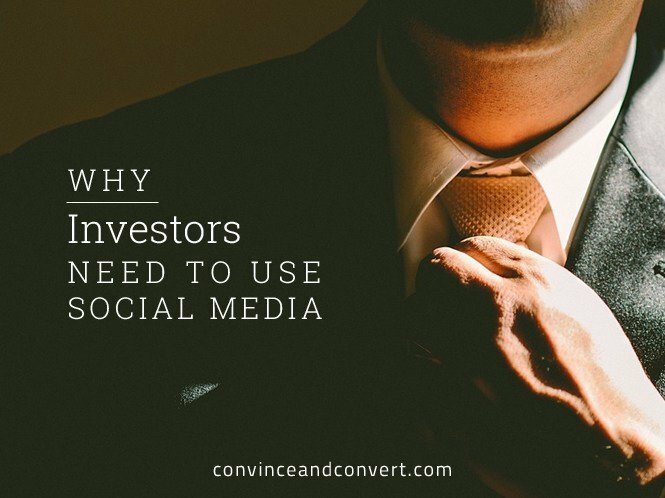 So how can investors make the most of various social media platforms? We investigate three of the biggest: Twitter, LinkedIn, and Facebook. What began as a humble microblogging platform has evolved in recent years to become the most instantaneous news hub on the planet. From the 2013 Boston marathon attack to the deaths of Osama Bin Laden and former British Prime Minister Margaret Thatcher, Twitter has consistently delivered groundbreaking news stories to the world ahead of the likes of Google and CNN. Keeping abreast of breaking news and industry developments via Twitter is of vital importance to serious investors. If they can purchase or offload stocks before the rest of the market becomes aware of a significant change, they put themselves at a considerable advantage when it comes to making a profit. As well as using Twitter to react immediately to fresh news stories, investors can also use the platform to predict future market movements based on growing interest or sentiment in a particular area. For example, before the first Hunger Games film was released, a number of investors picked up on the fact that related hashtags were trending due a growing interest in the books. 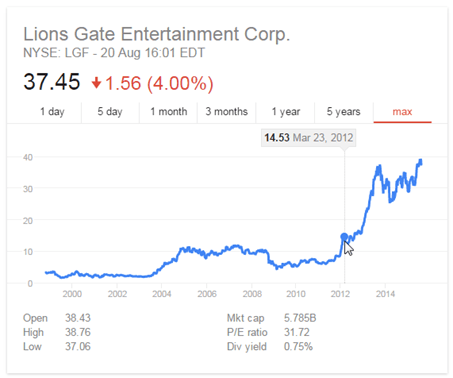 Sensing a lucrative opportunity akin to the success of the Harry Potter and Lord of the Rings film franchises, these investors bought shares in Lionsgate, the company that had secured the movie rights. The Hunger Games grossed $152.5 million on its opening weekend in March 2012, at the time the third most successful in history, and Lionsgate stock increased in value by 67% in the following 12 months. 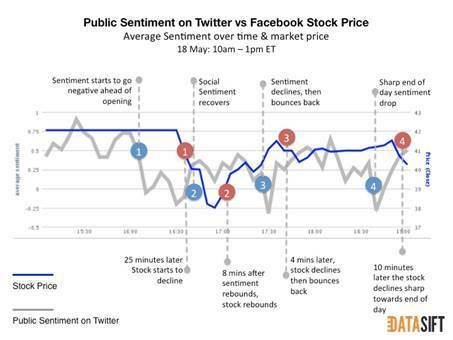 The above diagram from Data Sift illustrates how the Facebook IPO stock price was affected by Twitter public sentiment and how the network can therefore directly influence share prices. The decrease in value just 25 minutes after the drop in sentiment demonstrates just how crucial Twitter is to judge stocks. In addition, the University of California has developed a model that predicts stock prices based on Twitter data, which has proven to be up to 11% more accurate than traditional strategies. 73% of investors use LinkedIn to research investments, compared to 53% that use topic-specific discussion boards, and 26% that use Twitter, Facebook, and Google+ combined, which demonstrates the wealth of opportunities that LinkedIn provides. Firstly and most obviously, LinkedIn is fantastic at building relevant networks of people and businesses. As with Twitter, it is simple for investors to connect to experts in any industry to obtain further insight into their market, with the added LinkedIn benefit that the content is exclusively professional. LinkedIn is also a great place to carry out due diligence on investments, with investors able to assess both individuals and industries. As well as researching the relevant business leaders and industry influencers, investors can also look into active groups and judge whether, as with the Hunger Games, interest in a particular niche is growing. Just like Twitter sentiment, Facebook popularity can be a great way for investors to use social media to gauge potential stock market movements. Arthur O’Connor, a post-doctoral student at Pace University, tracked thirty brands’ social reputation and stock prices, from Abercrombie and Fitch to Best Buy, to try to spot a recognizable trend. It’s clear that Twitter, LinkedIn, and Facebook have become extremely important in the investment world. Thomson Reuters currently uses supercomputers to scan 4.5 million news sites and social media platforms to measure brand perception, which proves just how serious a business this has become. With Wall Street brokers and big businesses now implementing sentiment analysis into their stock market algorithms, social media really has entered a new realm. It is more powerful and influential than ever, and something the best investors simply cannot afford to ignore. Daniel Yeo is the Content and Online PR Manager for the award-winning UK digital marketing agency, Search Laboratory. He regularly blogs about PR, social media, content, and SEO.